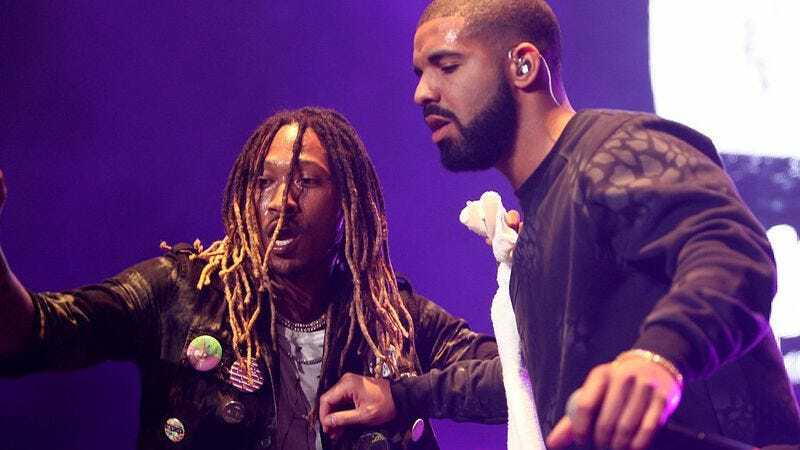 Armed with a new album and an appropriately-titled track, Drake has just announced that he’ll be touring this summer with his What A Time To Be Alive collaborator Future. The Summer Sixteen tour will kick off in July in Austin and wind down in Vancouver by mid-September. Drake tweeted the news with a graphic that lists the cities and dates, though not the venues as of yet. But it looks like he’ll be joined by fellow Canadians and his OVO Sound artists Roy Woods and Dvsn. Drake’s annual OVO Fest dates are rolled into his Summer Sixteen tour, and will feature Snoop Dogg and Wiz Khalifa, who will be on the road for their own The High Road Tour. The “One Dance” and “Pop Style” rapper is currently promoting his fourth studio album, Views From The 6, which drops Friday, April 29, just in time to remind you to buy tickets. Drake has also released the cover art for the album, which features him sitting at the top of the CN Tower getting a bird’s-eye view of Toronto, as you do.